Some of my posts are a little off the wall, and this one is even more out there than most. Stay with me though and we may learn something together. Many, many years ago, a friend of mine was diagnosed with a very painful condition. She was in the beginning stages of shingles. As you probably know, this condition occurs when the chicken pox virus which has laid dormant for some years in the lining of a nerve, wakes up. It is very painful. She asked me to read her something from the Bible. When I asked, "What?" She replied, "Anything. It's all good." So I started reading the Gospel of John. Several hours later, I finished. I had read the entire book out loud. I believe her mother must have come to get her because she was not present with my other friends and I later that night. (This was, as I said, a long time ago and some details are fuzzy.) One of us said that her father went to a church where they didn't lock the door at night. She asked if we wanted to sneak in and pray for our friend who had the shingles. Three of us crept into the dark church building that night and sat in the main aisle. We were in the middle of the aisle. The other two prayed first. I remember that an electrical current was flowing through my entire body. At first, I had noticed it in my hands, but eventually it was coursing through all of me. Have you ever held onto an electrical generator? That's what it felt like, except there was no pain. I couldn't move. I couldn't open my mouth. Well, to clarify, I could move but with great difficulty. It was as though I had been opened up and liquid electricity had been poured into me. This seemed to have short-circuited my own muscles. Side note: After this occurrence, there were several times when I would have the electrical current feeling in my hands only, but never anything like this. It happened once when I was street preaching, and several times when I was praying. 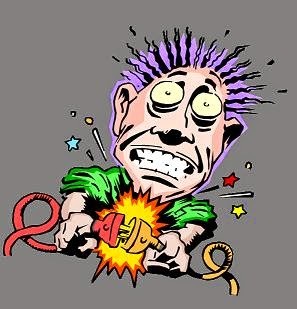 Just recently, I was reading of a Christian faith healer who mentioned this physical sensation of grabbing onto an "electric dynamo" when he was in the process of healing people. He said that it was like the "power of God" was coursing through him. So, I googled this. Apparently, this feeling does happen during intercessory prayer. And, I just read of a lady in the 1800's who felt the "power of God" in her hands when she was praying for her son. The boy had just cut himself deeply with an axe. His mother had gone into the other room to pray. She felt something in her hands, and came out of the back room to pray for her son. The bleeding stopped. She went and prayed again. Then she laid hands on him again, and the wound closed. She kept doing this until the would was quite healed. I wonder if through my own ignorance, I missed the opportunity to heal my friend of shingles? I had just read 21 chapters of the Bible out loud. I was praying fervently for her healing. I was with a group of believers. I was full of faith. I really think I missed it. When I arrived at work this morning a little before 8am, I noticed that we didn't have any coffee. Since life without coffee is not going to happen, and since the boss let's us purchase coffee on the company card, I headed out to the closest store, a CVS. At CVS, I headed straight back to where the coffee k-cups are at, and then I picked up some creamer, too (just in case). 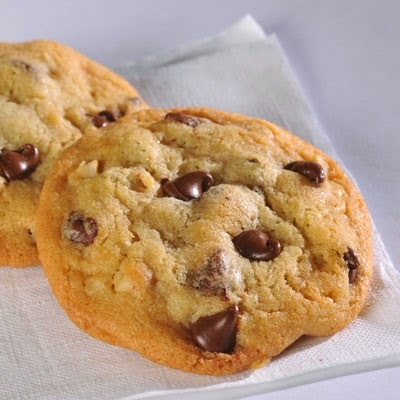 I had been really wanting some munchie snacks for later, and since I love chocolate chip cookies, I grabbed a 10 for $10 special. It would cost me a buck. Or, I could put it on the company card. It was after all, only one dollar. I would. And, God would. But, it was just a dollar. Then a thought came to my mind: the supernatural can only happen in a pure heart with an honest mind. So, I decided that I would rather have God on my side, and pay for my own cookies. I set down the coffee and creamer, and said to the lady that the cookies would be on a different card. She rang them up on the company card. Then she rang up the cookies, and without my asking, she scanned the $1 OFF coupon that showed up after the coffee...and I got my cookies for free. A little lesson this morning. God only works with truth.